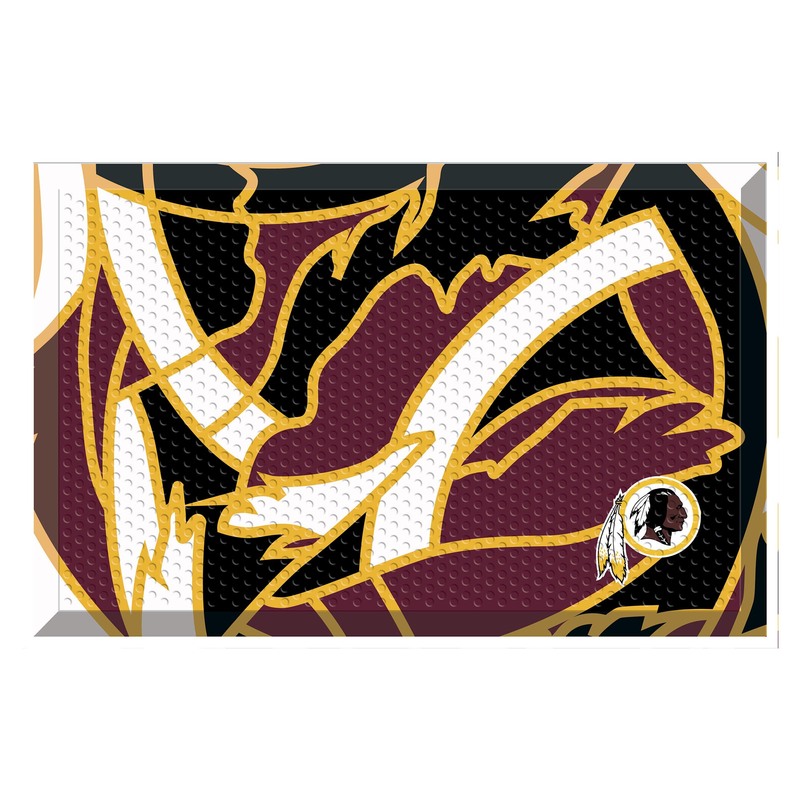 This Redskins quick snap scrapper mat is the perfect outdoor mat for the Washington Redskins fan that has everything and wants something new. Made using a graphic design that is the reusult of an NFL design contest, this outdoor doormat is very tough and durable and features a truly unique look. 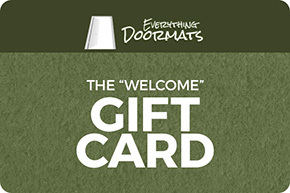 Made with heavy duty rubber here in the US, this mat is perfectly suited for outdoor use.. One of the distinguishing features of this doormat is its' raised “scrapper nibs” that act as an aggressive scrapping surface for your guests’ shoes. In addition the nibs create “natural” channels and reservoirs that help to trap and hold water and other debris on the mat instead of being tracked onto your floors. As it is crafted out on rubber with a smooth rubber backing this mat will not slip around and can withstand the rigors of outdoor use. Care of the mat itself is also very easy as all you need to do is hose it off, sweep it off or shake it out and if damp let it air dry. Features the Redskins' logo also in true team colors. 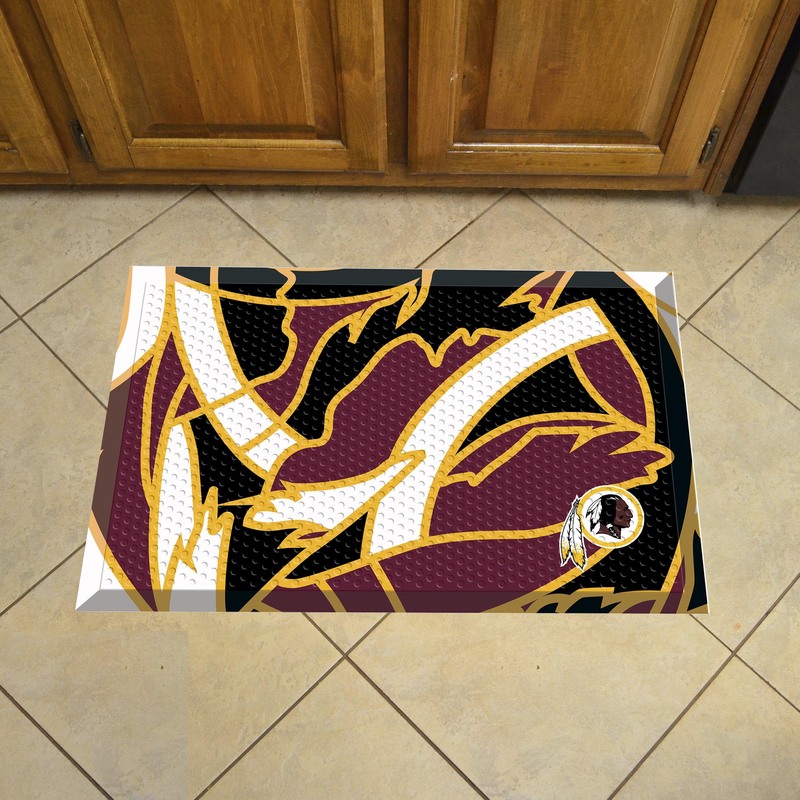 This Washington Redskins outdoor quick snap scrapper doormat comes in an 19" x 30" size.